Essential design, simple functionality and absolute comfort. 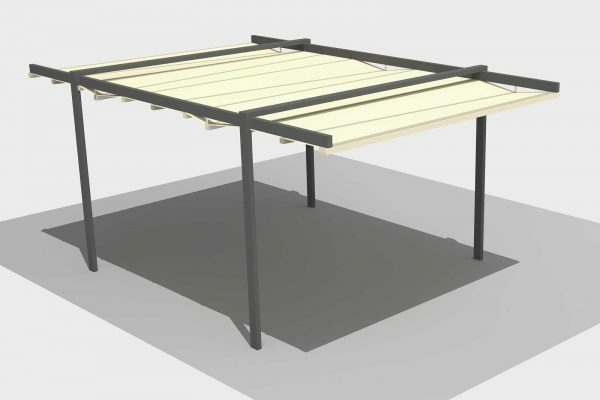 This is how pergolas have radically transformed homes into contract spaces. 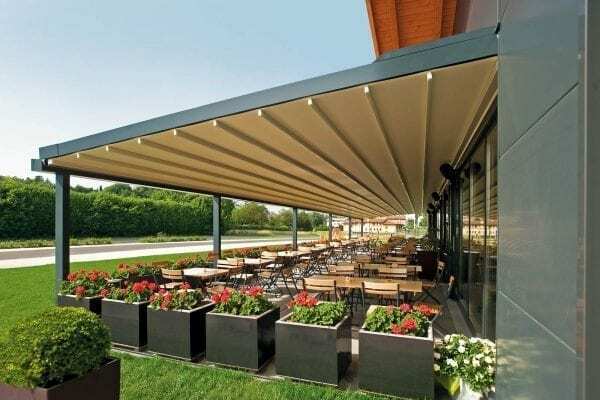 Among the outdoor solutions designed by Pratic, are aluminium pergolas with a PVC canvas. 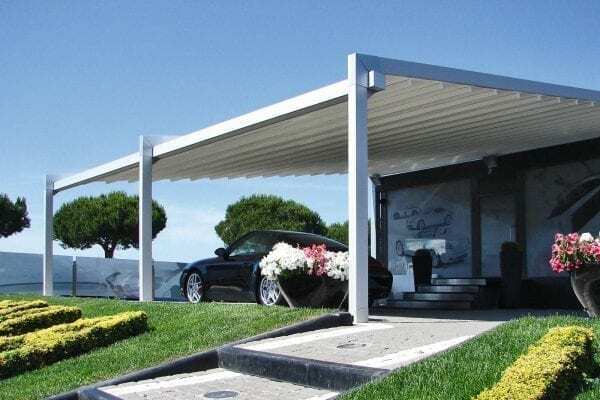 The structures have an essential design made of aluminium, complete with a high-performing PVC retractable canvas. An expert response to the needs of architects and designers who want to offer a different way to enjoy gardens, terraces and city rooftops, as well as restaurants, bars and typical hospitality facilities. 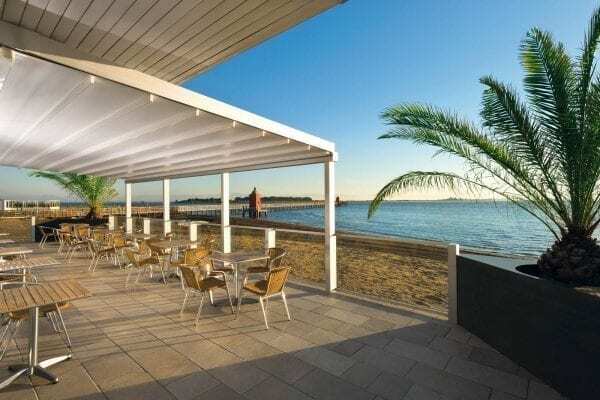 Nomo, Rialto, Fusion, Meta, Level, Evo, Mito, Stil, Infinity, Phoenix and Zen are the eleven aluminium pergola models with PVC canvas completely designed and manufactured by Pratic. Combined with essential lines, they are characterized by advanced technology that provides plenty of flexibility during the design phase, thanks to replicable models. The different versions can be self-supporting and can also be developed from scratch in a previously empty space, or they be fastened onto a wall as an elegant extension of the home. The structure can be customized by choosing from thirty-eight colours that Pratic makes available after the careful research of designers and fashion experts. Extraordinarily bright paints that are resistant to sun, humidity and salt. This is possible because of a cutting-edge painting process within the company, which operates without using any solvents and recovers almost 100% of the powders used. 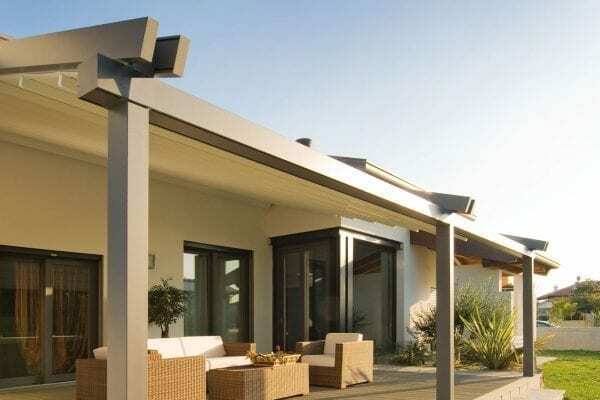 The PVC canvas that protects from sun, rain and wind, is retractable and opens and closes with a remote control, but above all, it has technical features that make it resistant to UV rays, bad weather, temperature changes, heat and frost. 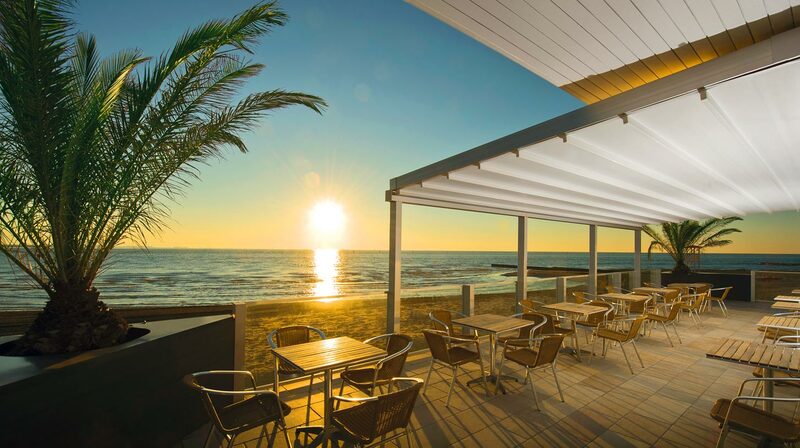 The range of aluminium pergolas offered by Pratic are always the ideal choice that fits into your setting. Phoenix and Zen, for example, are self-supporting structures perfect for those who wish to protect themselves from the sun without any perimetral limit. The more classic models have very linear aluminium structures, with the possibility of creating private spaces using shading canvases and side glass closures. 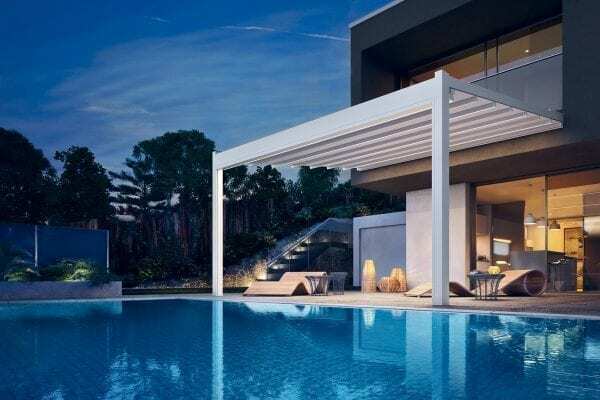 Nomo and Rialto are a combination of design and technology, aluminium pergolas with a PVC canvas that discreetly and elegantly solve any need for protection. The small-size supporting profiles contain accessories such as the vertical Zip canvas, which disappears completely once it is closed. A patented system of tilting gutters guarantees perfect waterproofness, as certified by the Istituto Giordano di Bellaria Certification Body (Rimini). 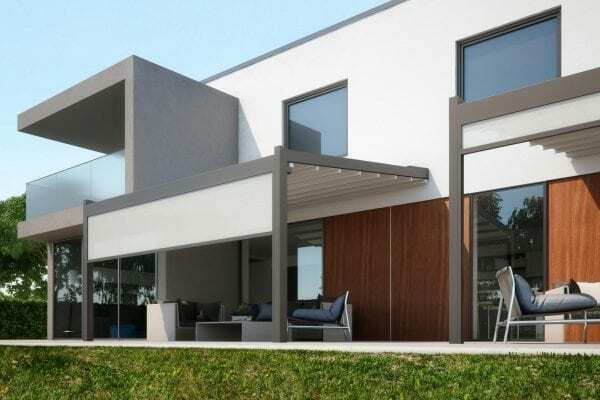 Rainwater is optimally managed with all the models through downpipes integrated into the structure: when it rains, the slope of the canvas makes the water flow into the gutters and then exit from the openings at the base of the structure. The elegance of the aluminium pergolas with PVC canvas is completed by the LED lighting systems that create evocative evening atmospheres. Level thus satisfies every stylistic and structural requirement thanks to its 12x6 profile, which gives beauty and solidity. The aluminium structure is equipped with an integrated gutter that allows the water to flow inside the posts. 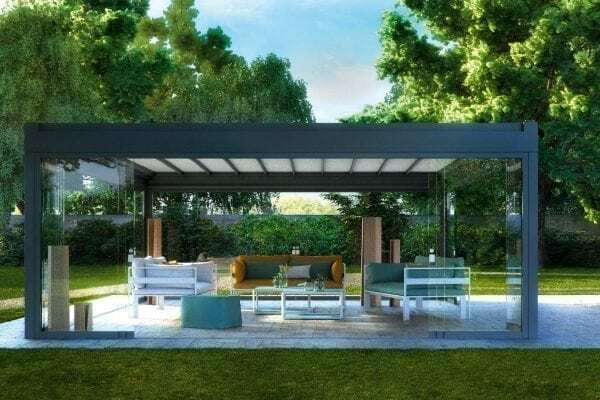 Light lines and resistant structure are the features of Mito; the ample pergola with a timeless design, can be equipped with perimeter windows and LED lighting, to be enjoyed at any time of the day or year. 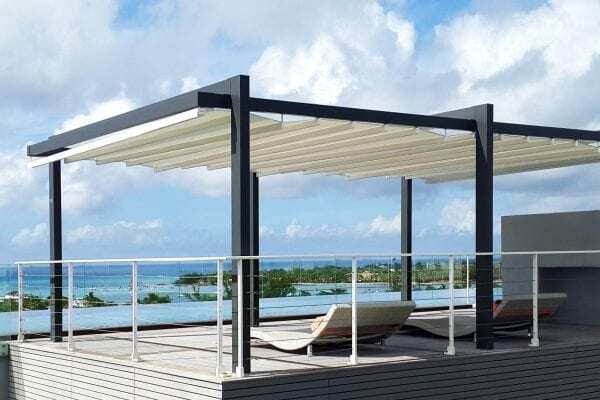 Stil is the pergola with asymmetric and dynamic lines, designed for those who love the originality of shapes and the comfort of a functional cover, able to guarantee the best protection from sun and bad weather. 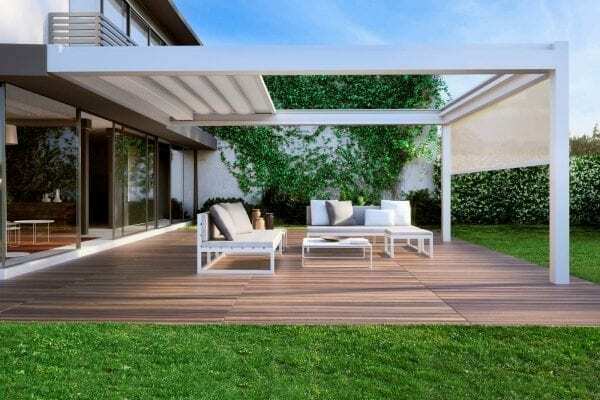 Infinity is the pergola designed for those who love classic lines, without renouncing modernity. Perimeter window closures and LED lighting give great comfort to the area, while movement via remote control makes it easy to use. Zen is the pergola with a minimal structure inspired by oriental architecture. Made entirely of aluminium, it can be equipped with LED lighting for use during the evening.